Have you ever noticed how many different types of flour there are? of those different types of flour on a regular basis. 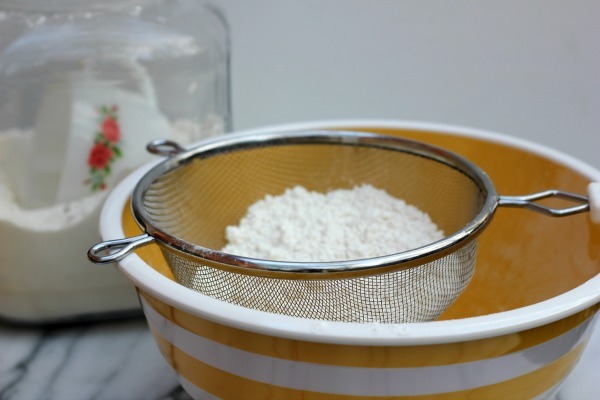 Did you know that you can make your own cake flour with just two ingredients? To make your own cake flour simply measure out 1 cup of all-purpose flour. 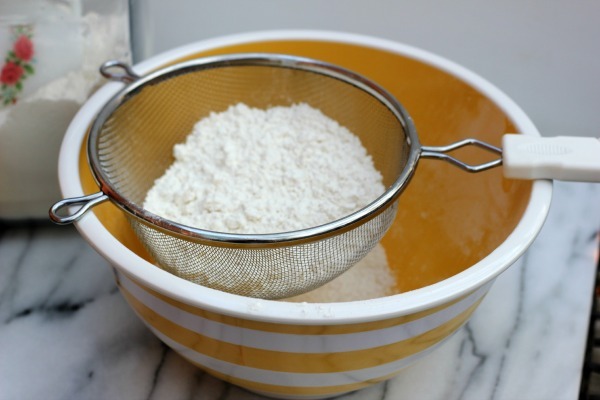 Remove 2 tablespoons of the flour and put it back into your flour canister. 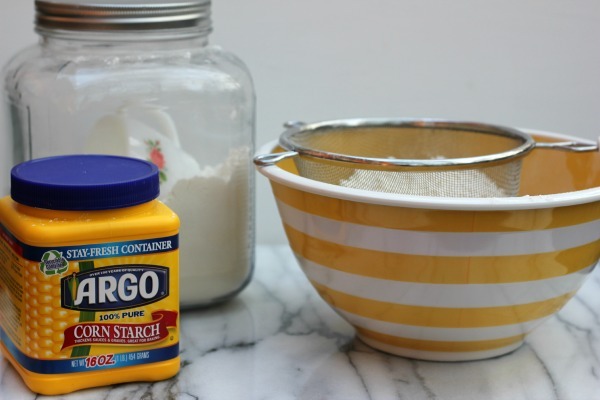 Next add 2 tablespoons of cornstarch to the flour in your cup. Now grab a bowl and sifter. Sift the flour and cornstarch back and forth for 5 times. You just made cake flour!